Live Coverage of Apple Keynotes. Including Images, Commentary, and sometimes audio and video. Motorola Xoom to cost $800?! No, that is not a typo; a recent post over at AndroidCentral containing information from an apparently reliable tipster regarding the MAP (minimum advertised price) has just hit the tubes. According to the screenshots provided by the tipster, the MAP for the Motorola Xoom appears to be $799, quite a bit higher than anticipated. The screenshots details information on the HTC Thunderbolt’s MAP as well, coming in at a much more acceptable $249. Hit the link to find out more. …customers can use iPhone for voice and text in over 40 countries with data service in over 20 countries. For service availability and rate information, visit International Roaming Rates and Coverage. When travelling outside of these 40 destinations, the Global Travel program is the perfect short-term solution for the occasional or infrequent global traveler who needs to stay in touch when travelling internationally. The problem is in the CDMA technology that is used by Verizon. Although there are carriers outside of the U.S. that us CDMA, the vast majority of international networks, specifically in Europe, rely on GSM technology the kind of phone that uses a SIM card (Subscriber Identity Module). In this, both Apple and Verizon have made a big mistake, but I understand why. For Verizon to get an iPhone 4, it had to get agreements with CDMA international carriers [Verizon iPhone 4 FAQ]. 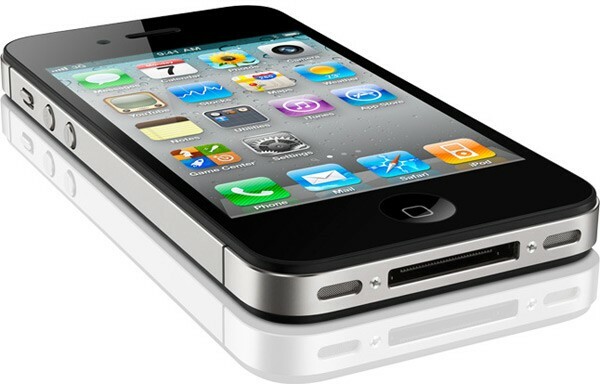 If it had both technologies, CDMA and GSM, it would allow some new Verizon customers to purchase their iPhone 4 and unlock it to use the phone within the U.S. on let’s say T-Mobile or other regional carriers that use a SIM card for example, since T-Mobile GSM bands are the same pretty much around the world. Now both Apple (at least for now) and Verizon wouldn’t want that to happen quite yet. 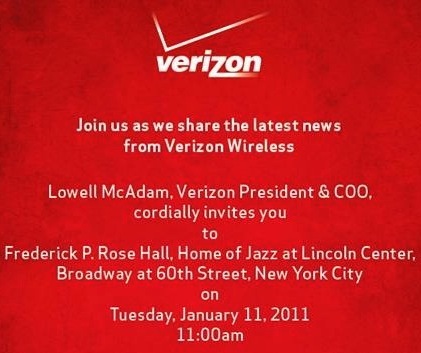 And if you are hoping the Verizon iPhone will work on a 4G network, forget it. This is not a 4G iPhone at all. This is a standard 3G iPhone but version numero 4. Which in a way is sad. If it were the 4G iPhone, running on Verizon’s LTE network, a traveler would be able to go to say Russia and feel the need-for-speed on Russia’s very fast 4G network. But today Verizon admitted that their LTE network is not quite ready-for-prime-time for simultaneous voice and data. As we knew this was coming and reported this in October of 2009, Verizon went ahead and finally did the inevitable; announce that they now have the iPhone, on one of America’s most consistent networks. The redesigned phone has four different notches at the both top and bottom sides. The best part besides the same specs as the original iPhone? HotSpot is included! Pricing is $199 for the 16GB, $299 for 32GB AND mobile hotspot included with up to 5 devices. Pre-orders begin February 5th and the iPhone 4 goes on sale February 10th. Verizon vs. AT&T: How does your coverage stack up? There’s an app for that! BGR posted a nice little iOS app found in iTunes called Coverage by Technomadia. 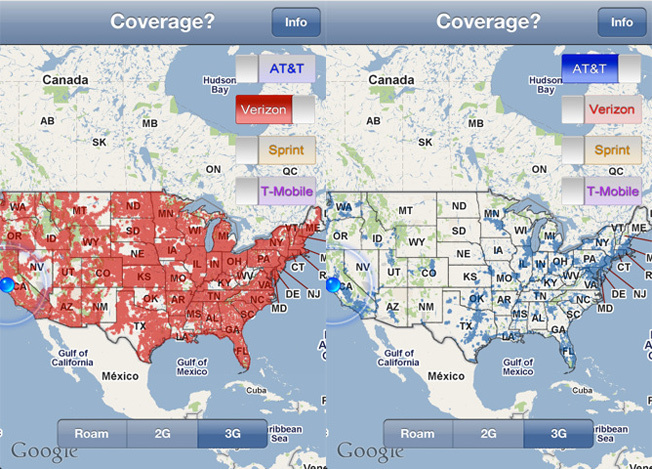 The app functions as a simple little app that allows you to compare coverage maps of the four major U.S. and A. carriers. So if you are in the market for a Verizon iPhone, this app may help you make up your mind. Hit the source link for more information and check out the video of the app in action below. 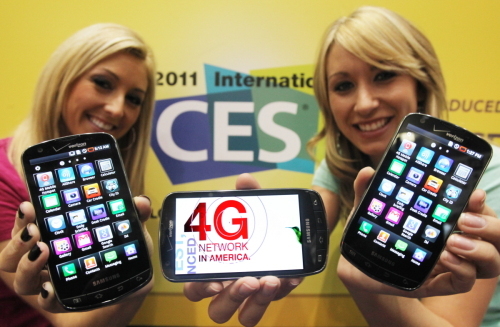 CES: Motorola “XOOM”s to the front of the pack! 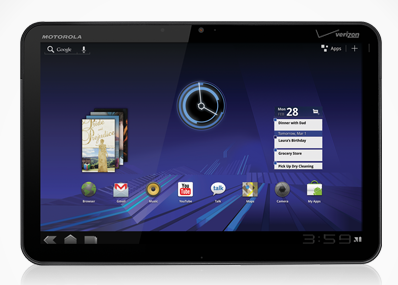 It’s official, the Motorola XOOM tablet is here! The much rumored, Android 3.0 Honeycomb powered tablet from device manufacturer Motorola was made official today in a press release at CES 2011. Initially featured as a prototype device during a Google keynote with Android lead man Andy Rubin, the Motorola XOOM is slated to be the flagship Android 3.0 tablet, developed hand in hand with Google to highlight the new tablet centric additions to the operating system. Hit the link for specifications directly from big “M”. The Marvelous Mytosis of Motorola is complete! 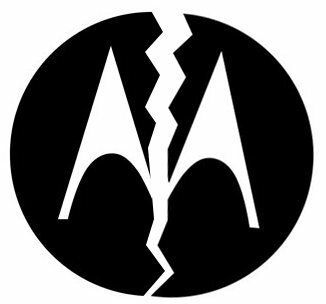 After an eternity in the electronics field (some 80 years), Motorola has successfully completed the split into two seperately-traded companies, Motorola Mobility, Inc. and Motorola Solutions, Inc. respectively. The split comes as a result of the company’s desire to more accurately satisfy the growing demands of the ever-changing consumer and business technology markets. The company goes on to state that it was partially motivated to split by the desire to offer investors more pointed investment markets, instead of a single, convoluted entity. It’s going to be interesting to see where Motorola Mobility decides to take the DROID brand, and wether or not they intent to re-invent existing Motorola mobile product lines. Hit the link for more information on the two individual entities.